The Fitbit watch he wears tells Spencer Haywood that he needs to keep moving if he’s going reach his daily goal. But then, he already knew that. No he’s not. In fact, Haywood is moving faster than ever lately. On this day, he barely has enough time finish his lunch – a plate of Chilean Sea Bass and sweet potato – during a media blitz to promote his latest venture. 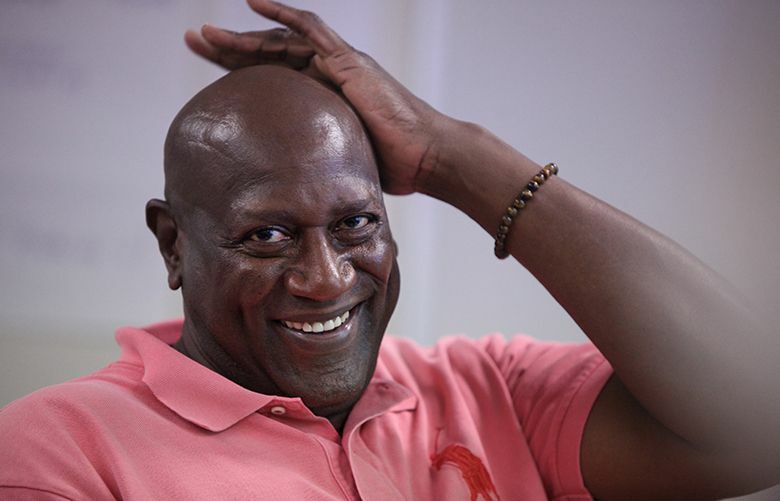 The former iconic Sonic has returned to his adopted hometown Seattle to attend the premiere screenings of the documentary “Full Court: The Spencer Haywood Story,” which makes its debut this weekend at the Seattle International Film Festival. The 67-year-old Haywood knows a thing or two about waiting. But impatience is the reason why the Silver City, Miss., native’s story is being told on the silver screen. At the heart of the documentary is Haywood’s landmark legal battle with the NBA, which stated players could not enter the league until they were four years removed from high school. The Supreme Court ruled 7-2 in favor of Haywood on March 1, 1971 in a decision that allowed underclassmen to enter the NBA and paved the way for generations of young basketball stars. The 90-minute film, which is narrated by rap legend Chuck D., chronicles Haywood’s rise from a poverty-stricken Mississippi cotton field to the Basketball Hall of Fame. The documentary portrays Haywood, who was married to fashion icon Iman, as an Olympic gold medalist, cancer survivor, recovering addict and civil rights pioneer. In five seasons with the Sonics, Haywood appeared in four All-Star Games and averaged at least 20 points each season. During the 1972-73 season, he set the team record by averaging 29.2 points. The Sonics traded Haywood to the New York on Oct. 23, 1975, and his career spun out of control due in large part to a cocaine addiction. Haywood also played with the New Orleans Jazz and Los Angeles Lakers before finishing his career in 1983 in Washington. It took 32 years after his NBA career ended for Haywood to be inducted into the Hall of Fame in 2015. And it’s going to take a little longer – if ever – for the feud between Haywood and the NBA to subside. The NBA invited Haywood to the NBA draft on June 23 in Brooklyn, N.Y. where he’ll meet with league executives and discuss formally changing the name of its eligibility rule to the Spencer Haywood rule. “I want that name,” he said. “That means everything. It would solidify history. Every time those young men walk on that draft stage, they’re walking with me.